The 4th International Study Week of Trecento Music will be held in the city of Arezzo from August 18th to 26th , 2019: a specialized course in medieval music under the expert guidance of Kees Boeke (Ensemble Tetraktys, fiddle, recorder), Claudia Caffagni (Ensemble laReverdie, medieval lute, medieval notation), Jill Feldman (voice) and Claire Piganiol (medieval harps, portative organ). We offer courses in fourteenth-century musical notation, analysis and use of instrumentation, with special emphasis on the relationship between poetic text and music. On a practical level, courses are held for medieval ensembles including voice, medieval lute and harp, fiddle, organetto and recorders. Like in previous years, the Study Week of Trecento Music will take place in the Locanda di San Pier Piccolo, a former Benedictine monastery, in the heart of the city of Guido Monaco. The course is conceived for all students who wish to deepen their understanding of medieval repertoire while developing their skills in performance. The choice this fourth year has fallen on the works of the last of the trecento composers, Paolo da Firenze. PAOLO da Firenze (Don Paolo da Firenze, Paolo Tenorista, Don Pagollo, Paulus de Florentia, Paulus abbas, magister dominus Paulus abbas de Florentia, dompnus Paulus) was born in Florence around 1355. The source from which we know more details about Paolo's life is the ms. 1171 of the Municipal Library of Douai, a Florentine antiphonary richly illuminated and for this reason already known to art historians. From an inscription at the opening of the ms. we learn that the codex was donated in 1417 by the Capitani di Parte Guelfa to the church of S. Maria Annunziata in Florence, at the hospice called Orbatello, and that the volume was organized and ordered by the Reverend Father Don Paolo, Abbot of S. Martino al Pino (today Badia al Pino), near Arezzo. He was rector of the church of the Orbatello as well. From a list of the abbots of St. Martino al Pino we learn that Paolo held the commission from 1409 and that in the same year he took part in the Council of Pisa. In several documents he is designated as «abbas de Pinu». In 1428, Paul, for health reasons, appointed the Perugian don Angelo dei Tarlatini as his vicar general; and in 1433 he designated him as abbot in his place. Among the most representative exponents of the Italian Ars Nova, and of the particular style that was its continuation (by musicologists called ars subtilior), Paolo at the same time throws a retrospective look at the polyphonic production of previous generations, also dedicating himself to the genre of the madrigal. Sixty songs are attributed to Paolo: 13 madrigals, 42 ballads (one of which is equally ascribed to Landini), 2 sacred pieces, 4 unidentified songs for lack of legibility. In the ms. Paris, Bibliothèque Nationale, fonds it., 568, many attributions to Paolo were inexplicably erased, so that their assignment could only be validated through other sources. He also produced a treatise: the Ars ad discantandum (adiscendum?) Contrapunctum. The date of his death is not known, but took place no earlier than 21 September 1436. Kees Boeke was born in Amsterdam. He studied recorder with Frans Brüggen and cello with Anner Bijlsma at the Royal Conservatory in The Hague. After graduating with honours in 1969, he founded the Quadro Hotteterre. He was also a member of Kees Otten’s Syntagma Musicum for many years and a cofounder of Sour Cream (1972), Little Consort Amsterdam (1978), and Mala Punica (1989). In 1970, Kees Boeke began his teaching activities in The Hague and at the Sweelinck Conservatorium in Amsterdam. 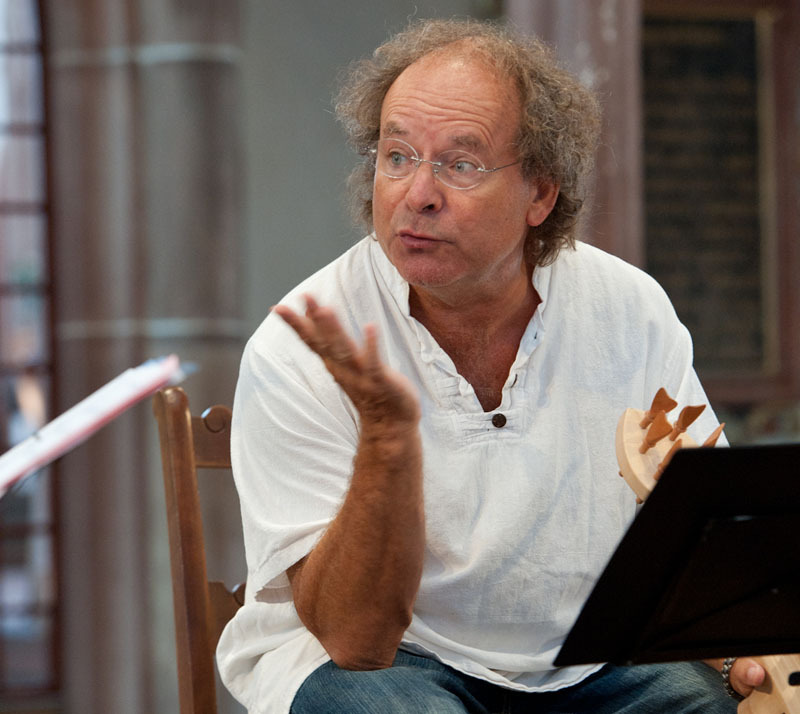 Since 1990, he is Professor of Recorder and Early Music at the Hochschule für Musik und Theater in Zürich, Switzerland. In 2005, he was named full professor of Medieval and Renaissance Music studies at the Institut für Alte Musik in Trossingen, Germany. He has given seminars and master classes in recorder and early music around the world including the Deller Academy (Lacoste, France 1972-1982), Corsi Internazionali di Musica Antica (Urbino, Italy 1975-1982), Early Music Festival, Vancouver and has been artistic director of the International Early Music courses at San Floriano (Polcenigo, Italy 1983-1993). From 1989 on, he collaborated with the Accademia Musicale Chigiana in Siena, for whom he produced Ludovico da Viadana’s Vespers (Salmi a 4 cori, 1612) in 1994. In 1996, Kees Boeke began his work as musical director for the ensemble Cantica Symphonia with whom he has made recordings of the Motets by Costanzo Festa and Masses by Guillaume Dufay. He has been invited as guest conductor by the vocal and instrumental ensemble “L’Homme Armé” in Florence and by the ensemble Ars Nova Copenhagen for concerts in Holland, Belgium and Denmark. Over the years, he has collaborated with the Hilliard Ensemble in concerts and recordings of the music of Heinrich Isaac, Orlando di Lasso, and Philippe de Monte. Kees Boeke has recorded over 70 records and CD’s for Teldec, Das Alte Werk, EMI, RCA, Nuova Era, Channel Classics, Arcana, Symphonia, Attacca, Erato, Philips, Stradivarius, Glossa, Mirare and his own label Olive Music. In the realm of contemporary music, Kees Boeke forms an electronic recorder duo, Duix, with Antonio Politano. The ensemble specializes in performance on bass recorders, with emphasis on new music by Italian composers. Kees Boeke is himself an active composer (Donemus, Amsterdam, Sheetmusicnow.com ) and editor of early and contemporary music (Zen-On, Tokyo; Schott, London). 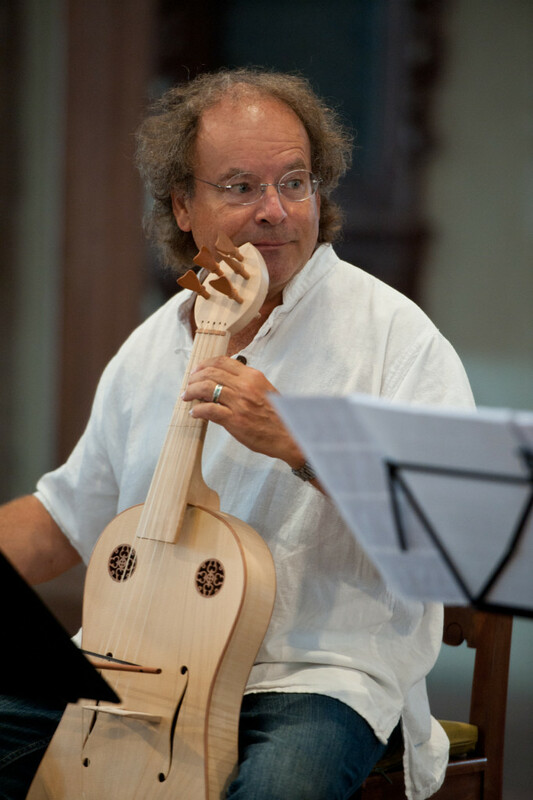 Since 2001 he has worked closely with Professor Laurenz Lütteken (University of Zurich) in projects and seminars in the field of Medieval, Renaissance and Baroque music. In 2003, he started his CD label Olive Music, along with his wife, singer Jill Feldman. In addition, the two founded a new ensemble "Tetraktys" for medieval music. The Tetraktys programs include, among other things, the Trecento, Chansons by Dufay and contemporaries, the Squarcialupi Codex, the complete recording of the Chantilly Codex, works of Ciconia, sacred and secular works by Matteo da Perugia, the Songbook of Johannes Heer etc. Since 1980 Kees Boeke lives in Tuscany, where he produces extra virgin olive oil. 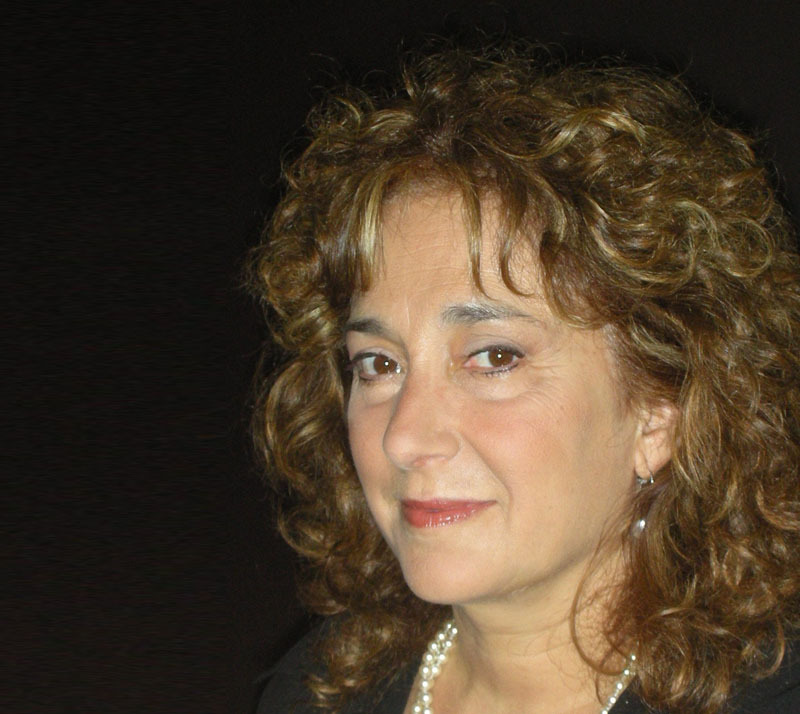 Claudia Caffagni was born in Bologna into a musical family. She started studying the lute with her father Mirco at the age of thirteen and later with Federico Manicola. 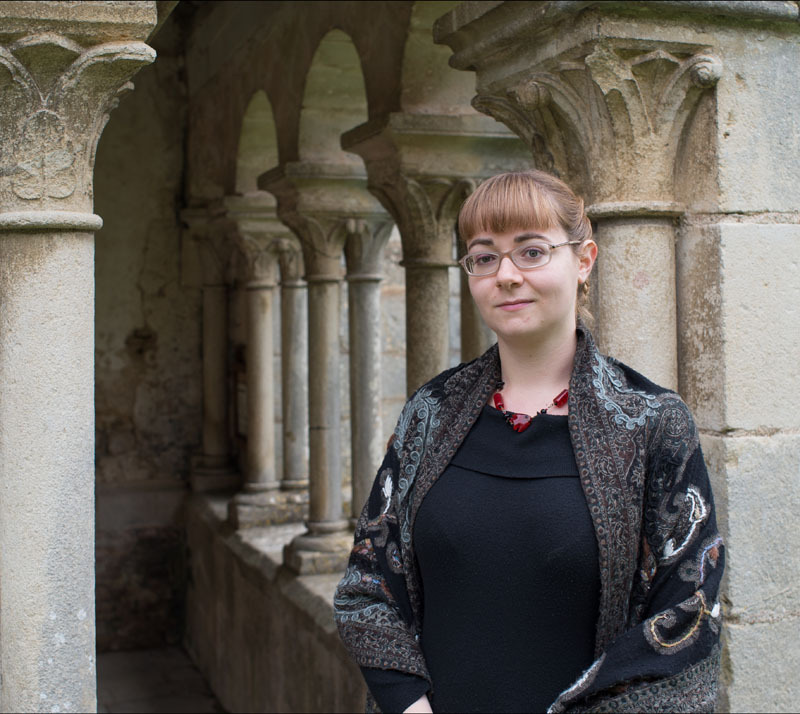 From the beginning of her musical education, she has held a deep interest in problems of performance practice in repertoire that covers the wide range of early music from the Middle Ages to the Baroque. She obtained her diploma in Lute performance in 1989 at the Royal College of Music in London, where she studied with Jakob Lindberg. She then specialized in German baroque lute repertoire for a year at the Schola Cantorum Basiliensis with Hopkinson Smith. Apart from her practical studies, she became particularly interested in the sources, notation and treatises of medieval repertoire especially. In 1984, she founded her Ensemble LaReverdie, one of the most important groups internationally active in the reconstitution of pre-renaissance music. With this ensemble she has performed at the most prestigious festivals of all Europe. She has recorded sixteen CDs for ARCANA, in co-production with WDR. All CDs have obtained prizes including the Diapason d’Or de l’Année 1993, and "Finalist" in the 2010 and 2013 Midem Classical Awards, Early Music. In 1995 she obtained a master (with honours) in Architecture at the Istituto Universitario di Architettura di Venezia, with a thesis entitled: "Il temperamento in musica e in architettura: "La Schola Riccatiana" (Fidia Edizioni d’Arte, Milano-Lugano, 2011). This thesis was published by the editor Leo Olschki for her lecture for the Fondazione Cini di Venezia in 2010, dedicated to Giordano Riccati. She recently published an article entitled "Omaggio a Johannes Ciconia. Marce Marcum imitaris: un modello per i mottetti di Ciconia" for the magazine Marcinum, 2012. A new article will come entitled "A new edition of the Italian Trecento motet Marce, Marcum imitaris" for the Journal of the Alamire Foundation. To celebrate the twentieth anniversary of the Ensemble LaReverdie (1986-2006) she prepared a new critical performing edition of Guillaume Du Fay's Missa Sancti Jacobi, directly transcribing the Mass from its main manuscript source, the Codex Q15 from the Bologna, Civico Museo Bibliografico Library. It was presented in 2014 for the "Premio Luigi Gaiatto" promoted by the Fondazione Ugo e Olga Levi where it received an honorable mention. 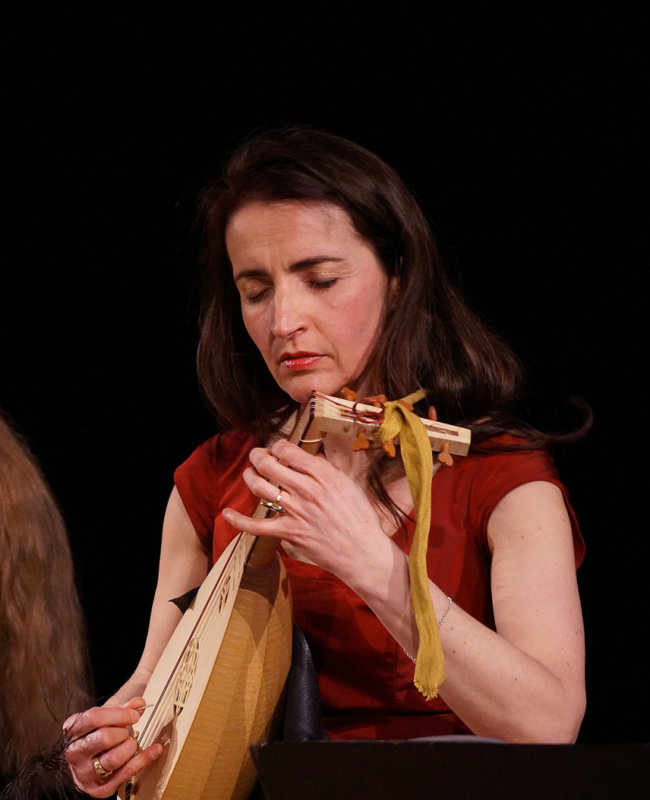 Claudia has been a teacher of Early Music performance practice at the Conservatory "G. Tartini" in Trieste and has held seminars and courses in lute and medieval music in Italy and abroad. Since 2005 she has taught international early music courses in Urbino, Parma, at the Accademia Internazionale di Musica (Scuola Civica) in Milan. From 2007-2015 she has taught medieval and renaissance notation as well as plectrum lute at the Department for Medieval and Renaissance Music at the University of Music in Trossingen. Jill Feldman teaches at the Zürcher Hochschule der Künste, the Royal Conservatory Den Haag, and regularly holds master classes and workshops for the Amici della Musica of Florence, for the Academia de Musica Antiga de Lisboa, the International Early Music Seminar - Tel Aviv, at the IYAP of Antwerp, in Japan and South Korea. She studied singing with Lillian Loran in San Francisco and graduated from the University of California at Santa Barbara. Later she specialized in the field of early music in Basel under the guidance of Andrea Von Ramm. She made her debut in three major productions: Monteverdi's Orfeo in Berkeley, California, the Erismena by Cavalli at the Festival dei Due Mondi in Spoleto, and the highly successful Ordo Virtutum of Hildegard von Bingen with the medieval group Sequentia. 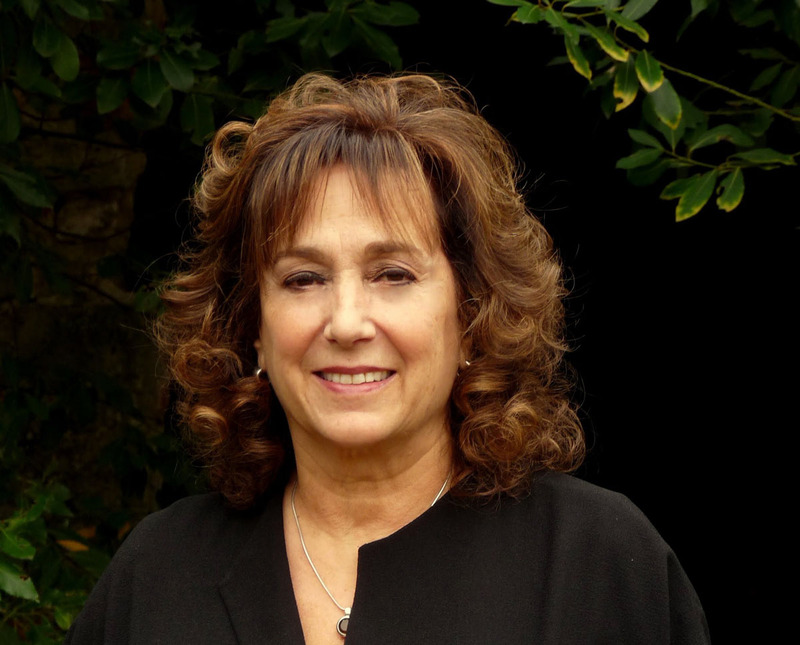 From 1981 to 1986, Jill Feldman has sung with William Christie and Les Arts Florissants. With this ensemble, she recorded twelve albums including Marc Antoine Charpentier’s opera Médée in the title role, which received the Gramophone Award (London), Prix Charles Cros (Paris) and the Grand Prix du Disque (Montreux) in 1985 . Since then, she has taken part in over fifty recordings. In 2003 she founded the record label Olive Music with her husband, Kees Boeke , for which they have recorded four medieval programs: Trecento (from Machaut to Ciconia), Chansons by Guillaume Dufay, O tu cara sciença mie musica (Squarcialupi Codex) and Chantilly Codex; Consort Songs by William Byrd and his contemporaries, Leçons de ténèbres by Charpentier, Delalande, Couperin, and "Songs" by Charles Ives. Jill Feldman was invited by conductors such as Frans Brüggen (Die Schöpfung by Haydn), Andrew Parrot (Carmelite Vespers Handel), Jordi Savall (Motetti of Delalande), Nicholas McGegan (the cantata Tirsi Clori and Fileno and Handel's oratorium Susanna) and Rene Jacobs (l’Orontea by Cesti and Xerse by Cavalli). She has performed the role of Armida in Stradella’s Lo schiavo liberato at the Teatro di Modena and the role of Vita in La Vita Humana by Marrazzoli at the Tramway in Glasgow .In the field of contemporary music, she collaborated with the ensemble Duix with which she gave concerts at the Villa Medici in Rome, Santa Maria della Grazia in Milan, Cuenca in Spain and at the Ysbreker Festival in Amsterdam. After starting her musical education on the piano, Claire Piganiol studied recorder and modern harp in the Conservatoire de la Vallée de Chevreuse near Paris (France), where she also discovered historical harps during the course of her studies. Her fascination for these rarely played instruments led her to musical studies in Milano, Toulouse and Basel, where she obtained a Master in early harps in 2012. 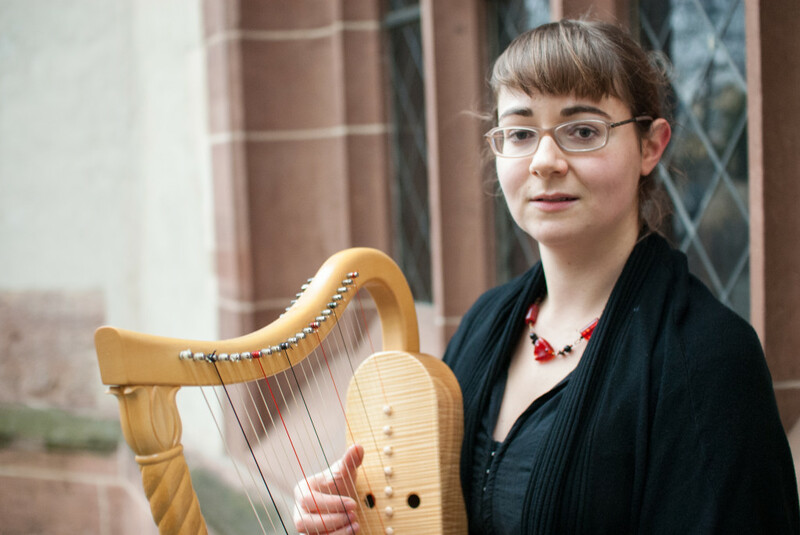 A Master in instruments from the Middle Ages and the Renaissance directed by Kees Boeke at the Musikhochschule Trossingen allowed her to specialize in this repertoire. Academic studies in history and in musicology (Maîtrise in Université Paris-Sorbonne, France) gave her the opportunity to start research work on the iconography, organology and playing techniques of her instruments. She has performed at various venues, such as the festivals Oude Muziek Utrecht, Les Riches Heures Musicales de Simiane-la-Rotonde, Festival de Musique Ancienne d’Urbino, Wunderkammer Trieste, Festival de Davos, Festtage Basel, Festival International de Musiques Sacrées de Fribourg, Musiksommer am Zürichsee; the Opera of Lille, Luzerner Theater, Semperoper Dresden; castle of Versailles, Museum of the Middle Ages in Paris and in the Einsiedeln monastery. The Ensemble Duvinsela, with whom she plays the double harp, has won the first prize of the Biagio Marini competition in August 2014. 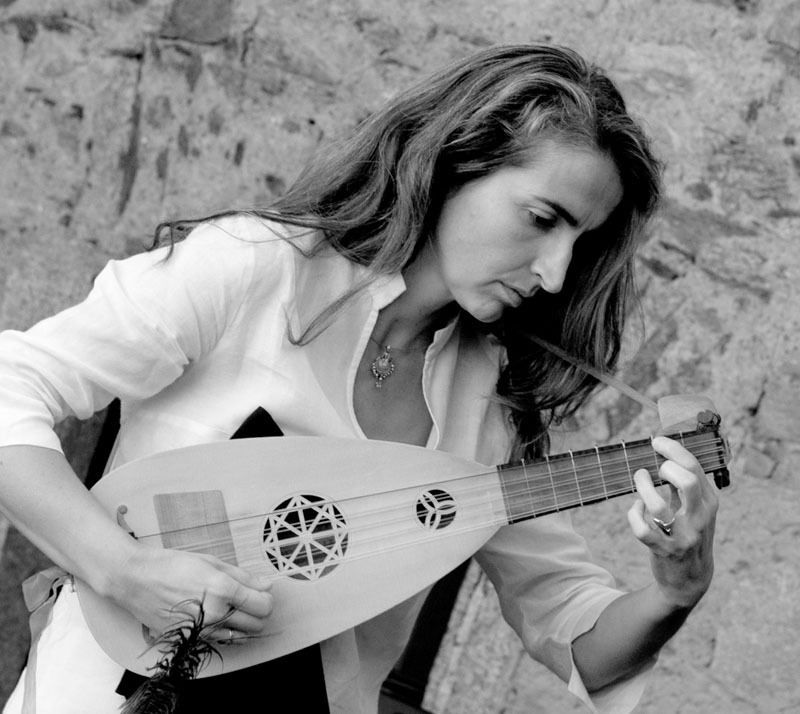 She is professor of historical harps at the CNR of Besançon and regularly leads introductory courses and workshops for early instruments; she is a member of the faculty of the International Course of Medieval Music Performance in Besalú, Spain, and the Laboratory for Historical Harps in Rangendingen, Germany. 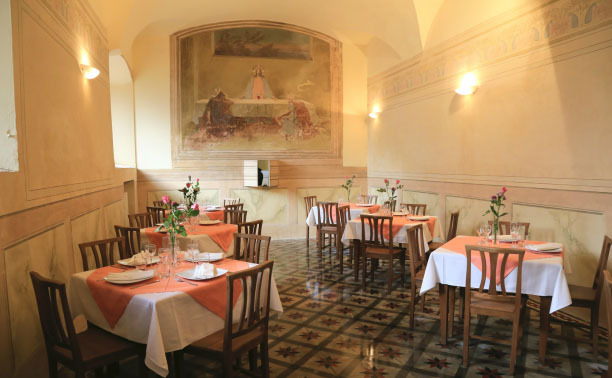 Art tour of Arezzo, and guided visit of the Piero della Francesca fresco cycle by Machtelt Brüggen Israels. A city of ancient origin, Arezzo became an important Etruscan and Roman center, home of the Christian diocese as early as the fourth century. It was occupied by the Lombards in the late sixth century A.D. and strongly influenced by this population. In the Middle Ages Arezzo became a powerful free city, often governed by its bishops, who were Counts of the Holy Roman Empire. It was at war with Siena, but especially with Florence, who subdued the city in 1384. Since this date, except for two extended rebellions in 1502 and 1529 to 1530, its history merges with that of the dominant city and then with that of Tuscany. The present historical center retains all the charm of the illustrious past, and its monuments are enriched by the works of great medieval and Renaissance artists, such as Cimabue, Piero della Francesca, Andrea della Robbia and Giorgio Vasari. Arezzo, the birthplace of Guido d'Arezzo as well as of the great poet Francesco Petrarca, is also internationally known as the natural stage for a famous movie: the most beautiful sights of its historical area have been used as the setting of some scenes in Roberto Benigni's film "La Vita è bella”, winner of three Academy awards in 1999. 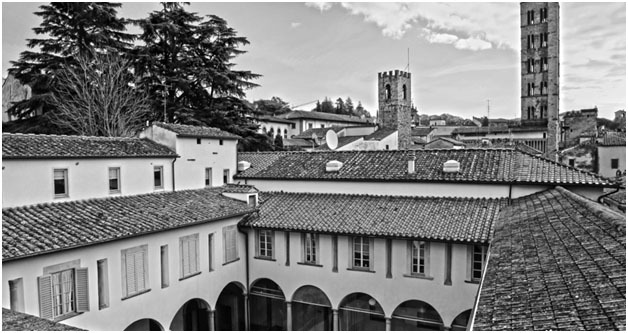 Modern and industrious Arezzo is a city of art of the past and present, where the ancient flavours of the cuisine go hand in hand with quality artisanship in the goldsmith tradition. Arezzo, the city of the Saracen Joust, the Antique Fair, and the "Guido d'Arezzo" International Choral Competition. 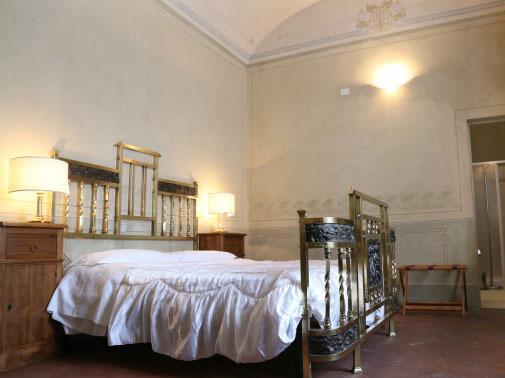 Arezzo, a gem set among the rolling Tuscan hills and the birthplace of famous personalities: as the distinguished Italian poet Giosuè Carducci said: "Arezzo would be enough to illustrate the glory of Italy". The choral competition Guido d'Arezzo had its first edition in 1952. The competition is named after Guido Monaco, famous citizen of Arezzo and the father of modern musical notation that is still in use today. Currently the event consists of a National and an International Competition. 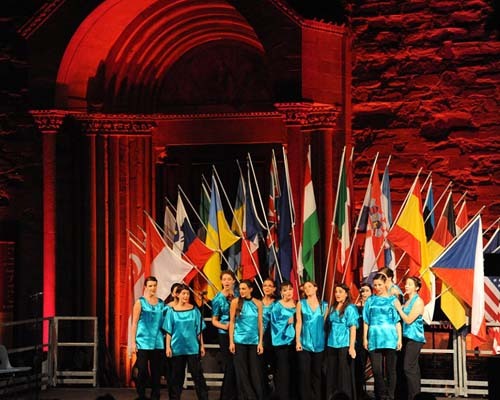 The international competition is part of the European Grand Prix for Choral Singing along with choral competitions in Maribor (Slovenia), Debrecen (Hungary), Tours (France), Varna (Bulgaria) and Toulouse (Spain). The winning choir of the National Competition has the right to participate in the International Competition the following year. The winner of the International Competition "Guido d’Arezzo” has the right to participate in the European Grand Prix for Choral Singing, contending with the winners of the six other international choral competitions for the prestigious global title. 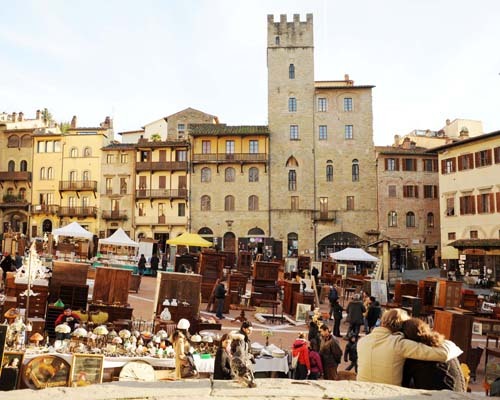 The Antique Fair of Arezzo, which takes place every first Saturday and Sunday of the month, is the largest in Italy, with over 500 exhibitors. Born in 1968, it is now the best known and frequented in Italy. Here visitors can take a dive in the past, allowing them the pleasure of discovering an impressive variety of objects from various eras. Every edition of the fair counts on average twenty thousand visitors: collectors, antique dealers, tourists or just curious by-passers, take a stimulating outdoor walk through the stalls on display in the most characteristic locations of the historical center. Here you will find anything: furniture, old books, paintings, ceramics, art hardware, art Nouveau windows, antique scientific and professional instruments, watches, silver, jewelry, lace, collections of various kinds, art deco objects and finally modern antiques and various objects. Anyone, Italian or foreign, who has visited the fiera, brings home an unforgettable memory of our city. It really is an event not to be missed! 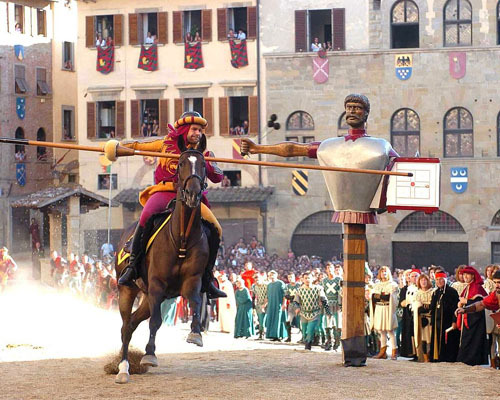 The Giostra del Saracino is the most compelling and characteristic folk show of Arezzo. The Joust involves representatives of the city's quarters, dressed in magnificent medieval costumes. The four districts are distinguished by different colours: red-green for Porta Crocifera; white-green for Porta S. Andrea ; yellow-blue the Porta S. Spirito ; yellow-crimson the Porta del Foro . After a colorful procession in the streets and city squares, all come together in a packed Piazza Grande in a colorful procession of musicians, flag bearers, horses, knights and damsels, to watch the spectacular display of the Flag-Wavers, which anticipates the beginning of real Joust itself. From the bottom of the square, while the drums roll, the giostratore forces his horse into gallop and with his spear he strikes the 'Saracen', the shape of Buratto holding the flail, which shows the score. After the eight established runs, a ranking is fixed , and the winning district is given a golden spear. The course is limited to 24 students, on a first come first serve basis. In the case that inscriptions exceed the number of available places, a selection will be made on the basis of the obligatory curriculum vitae that must be attached to the entry form. You will be informed as soon as possible if you are accepted or rejected. The registration fee is € 750.00 and includes: - Lessons with teachers of the courses of your choice; - Accommodation (8 nights) in double, triple or single room (depending on availability) with half board (breakfast, 2 dinners and 6 lunches) at the Locanda di San Pier Piccolo, the location of the courses. The application forms must be submitted no later than July 1, 2019 using the online application form. Acceptance is on a first come first serve basis, so it is better not to be too late! The application must be accompanied by the Curriculum vitae of the student in pdf format: you can upload the CV immediately after submission of the application or by clicking on this link. If appropriate, specify in the application form the names of other members of your ensemble (in order to obtain a price reduction). The application will be considered complete and therefore definitively accepted ONLY AFTER RECEIPT OF PAYMENT OF DEPOSIT (half of the total fee, € 375) by bank transfer mentioning “Settimana Musicale del Trecento” to the account below. Applications must be received no later than July 1st 2019. Confirmation of acceptance or rejection will be given as soon as possible. In case of a negative response, the fee will be refunded in full or, on request, the application will be placed on a waiting list (and refunded later if no free places become available). In the case of cancellation on the part of the student received before August 1st, the registration fee for enrollment will be refunded, withholding € 50 to cover administrative expenses; for cancellations after August 1st, you can no longer obtain a refund. Arezzo is located in Tuscany, on the border of Marche and Umbria, well connected to the main airports in the region (Pisa and Florence) and the adjacent regions (Perugia). By Car: Arezzo can be reached by car from Florence or Rome via the Autostrada del Sole (A1 Milan-Naples) exit at Arezzo. From here it is about 10 km to reach the city center. Follow the indications for Parcheggio Pietri. To reach the locanda San Pier Piccolo from Parcheggio Pietri: https://goo.gl/maps/i5DvMRyPn9A2 By Train: the Arezzo train station is on the Bologna-Rome railway line. There are daily Intercity trains to/from Florence, Rome and the rest of Italy. The TFT (Trasporto Ferroviario Toscano), operates the lines for Arezzo-Sinalunga and Arezzo-Stia. To reach the locanda San Pier Piccolo from train station: https://goo.gl/maps/C47rLm6Wgss By Bus: Arezzo is connected to the Valdichiana, Valtiberina, Pratomagno, Casentino and Valdarno, a network run by bus companies ATAM, LFI and SITA. From the Florence Peretola -Airport Amerigo Vespucci By car: take the Highway A1 direction Roma, exit Arezzo; By train: Shuttle (6 €) or taxi (22 €) from the airport to Santa Maria Novella station. From there take the train in the direction of Arezzo, Chiusi, Foligno or Rome (excluding EuroStar). From Pisa airport Galileo Galilei by car: take the A11 motorway up to Florence and then the A1 up to Arezzo; by train: take bus to station Pisa Centrale, then the train to Florence Santa Maria Novella, and from here, take trains direction Arezzo, Chiusi, Foligno or Rome (excluding EuroStar). Distances from Arezzo: Cortona 29 km; Florence 74 km; Siena 89 km; Perugia 92 km; Roma 218 km. To submit your application please complete the following form by July 1st, 2019.